It’s been a little while since I’ve had the opportunity to post anything as I have been crazy busy at work and when I got home all I wanted to do is sleep. With things finally settling down (sort of) I wanted to make something for my gluten intolerant friend at work as she has been amazingly supportive. 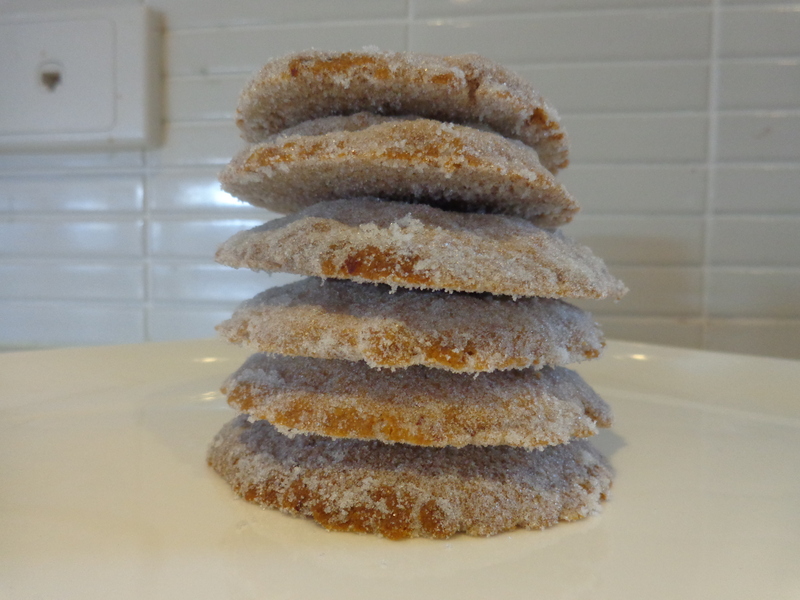 I found this receipe in one of my latest Amazon purchases, and after a little tweaking I think it makes a great cookie – lovely and crispy on the outside but wonderfully chewy on the inside. It’s also a snap to make and can be thrown together at the last minute. Try and use the best quality maple syrup you can find and leave the skins on the hazelnuts after toasting. One of the wonderful ladies I work with came in with a case of limes the other day, and after restraining myself from greedily taking them all I am very proud to tell you I restricted myself to just 10. However then came the next problem… what to do with the limes! I have so many receipes, both sweet and savoury it was really hard to decide what to do with them. My original intention was to make some Lime, Coconut and Rum cupcakes however after having a rather long day at work I decided to postpone my original intention and make these quick and easy cookies instead. 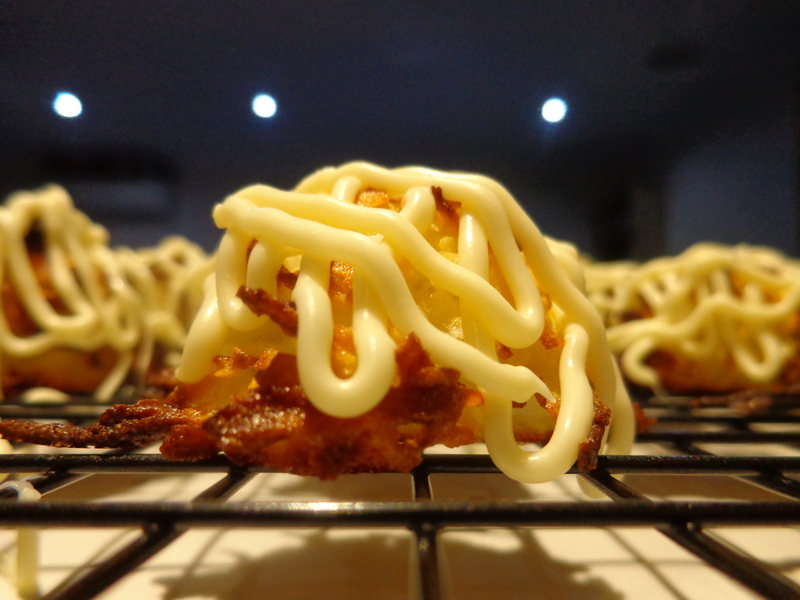 They are an absolute cinch to make and drizzling them with a bit of white chocolate gives them a lovely flourish. Just a note to be very careful to only zest the green part of the lime, the pith (or white part of the skin) is very bitter and will ruin the flavour of the cookie if included in the batter. These are amongst the easiest but yummiest cookies that I make. 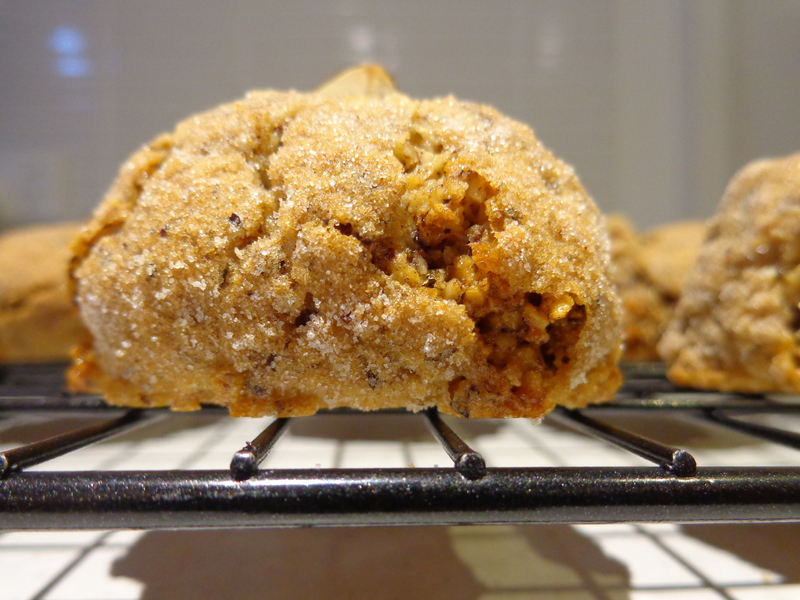 They are wonderfully tender and buttery with the real star of these cookies is the flavour combination of maple syrup and pecans. Call me a sucker but I love almost everything with maple syrup. Use the best quality that you can find, do not try and substitute maple flavoured syrup, it’s the real deal or nothing at all trust me! Make sure you leave enough time to chill the mixture in the fridge before baking otherwise they will spread too much, you can even chill them again in the fridge for 20mins before baking so they don’t spread as much as the ones in the photos. No matter what though you will end up with a wonderful cookie that you will have to restrain yourself from eating all of them in one go. Note: I used gluten free flour in the receipe to accommodate for a good friend who is gluten intolerant however it will work just as well with plain flour. This receipe came about as I have a good friend at work that is gluten intolerant and every time I show up at work with my latest baked goods I have to tell her she can’t have any. I feel terribly mean so set out to remedy the situation by baking the best gluten-free cake she has ever eaten! Now whilst she did say that her Mum’s cakes will always be better, and wouldn’t we all say that, she did admit that this cake was pretty perfect! The cake’s texture is lovely and light with a moist crumb. 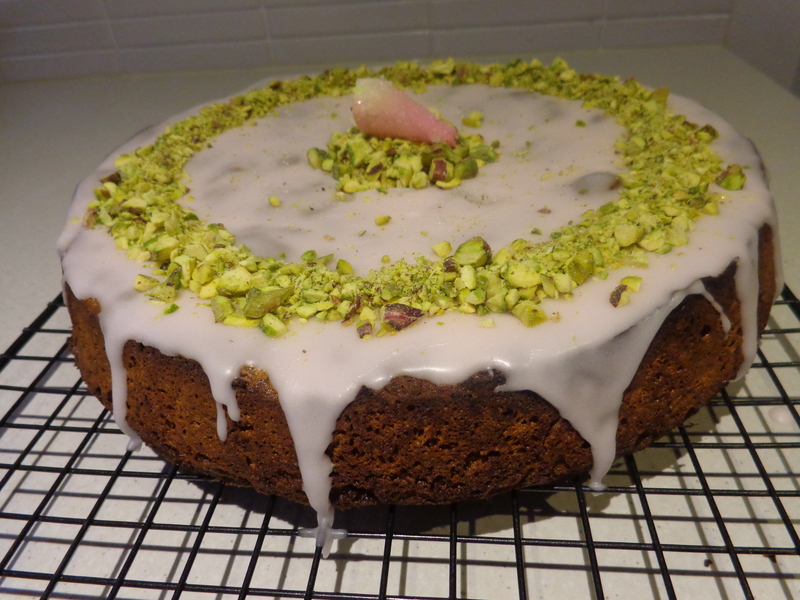 Pairing pistachio in the cake and rosewater in the glaze reminds me of old fashioned Turkish delight. However if you aren’t a fan of rosewater feel free to omit it and replace with water or just dust with icing sugar instead of using a glaze.